This is a new package for 2018. 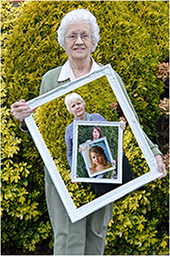 A generation / Family portrait photo shoot can be for any occasion or simply as a family keepsake. We are offering this combined image of any family structure you wish. The example shows four maternal generations. Individual images either with the same or similar backgrounds would be taken and then combined into a single image.